Our soul is reflected in nature and when it summons, she responds. This happens in Tuscany more than elsewhere, because here the geography of the territory mixes with the geography of the soul. The eyes only are not sufficient to enjoy the immensity of the Tuscan landscape. It takes heart. Just so, the echo of life that resonates far and wide inundates the senses and the breath synchronizes with that of the earth, its colours, its flavours and scents. Erbario Toscano successfully encapsulates the strength of these incessant sensory stimuli within its fragrances, giving an extension of that universe and transforming Tuscany into a region of the spirit. Refined, in their extreme “craft” simplicity, Erbario Toscano products, suspended between art and beauty, are the ideal gift. 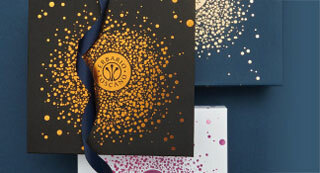 The details that make each packaging unique are complicit in recalling the experience of a trip to Tuscany, a journey that starts over again each day thanks to the aromas, the colours and the atmosphere felt and lived by both the body and the soul, and which become part of us.